WITH THE COOLER WEATHER HERE TO STAY, CHANCES ARE YOU’VE ALREADY NOTICED SOME CHANGES IN YOUR SKIN. WHILE THESE EFFECTS ARE PART OF THE CHANGE IN WEATHER AND EXPOSURE TO THE ELEMENTS, THERE ARE PLENTY OF REMEDIES TO COUNTERACT THAT DRYNESS, TIGHTNESS, AND EVEN REDNESS WE FEEL DURING THE COOLER MONTHS. Before we delve into the symptoms of winter-affected skin and the remedies, here’s a technical spiel explaining why our skin feels different in winter. The cold weather combined with the frequent transition from hot and cold climates can impair the skin’s bi-layers causing Trans Epidermal Water Loss. This is more commonly referred to as “dehydrated skin” which refers to the loss of water from the stratum corneum of the skin and is the biggest contributing factor to dry, flaky skin, irritated skin and dermatitis. Dry skin looks and feels unhealthy. In fact, if the water content of the epidermis falls below 10%, the skin becomes dry, less flexible and increasingly prone to environmental damage, breakdown as well as infection. Another symptom of Trans Epidermal Water Loss (TEWL) includes reactiveness within the skin. When the skin can’t retain water the skin becomes red and reactive, and is often referred to as sensitive skin. Lack of free water levels affects the desquamating enzymes and means the skin cells don’t move away properly. Rather they cement onto the surface of the skin. The normal rate and rhythm of exfoliation is slowed and the result is a rough, dry-looking skin. Good free water levels start with optimal lymphatics and circulation. Interstitial fluid is delivered to the dermis via the circulatory system. Water levels must be maintained in the lymphatic and circulatory system. When these levels become unbalanced, skin secretions, respiration and transpiration will become impaired, collagen loss and loss of structural integrity occur. Also without enough water in the skin it will lack volume and bounce. Water is an essential element for healthy skin and optimal skin functioning, all cells and systems working in perfect synergy. When the weather is cold the blood supply to the skin is constricted. Blood is like the river that brings nutrients and oxygen to the skin, so lack of blood supply will not only result in less nourishment and oxygen to the skin resulting in a flat dull complexion, it can also cause vascular matting, otherwise referred to as fragile capillaries. The body is designed to always maintain harmony within the skin and body, and if blood doesn’t flow to the skin it will die – so it develops more blood vessels like road ways to get more blood supply to the tissue. The result of this may include redness and the appearance of capillaries may occur. To essentially “waterproof” the skin to ensure we can minimise this redness, and dehydration, protecting the skin from the outside is vital. 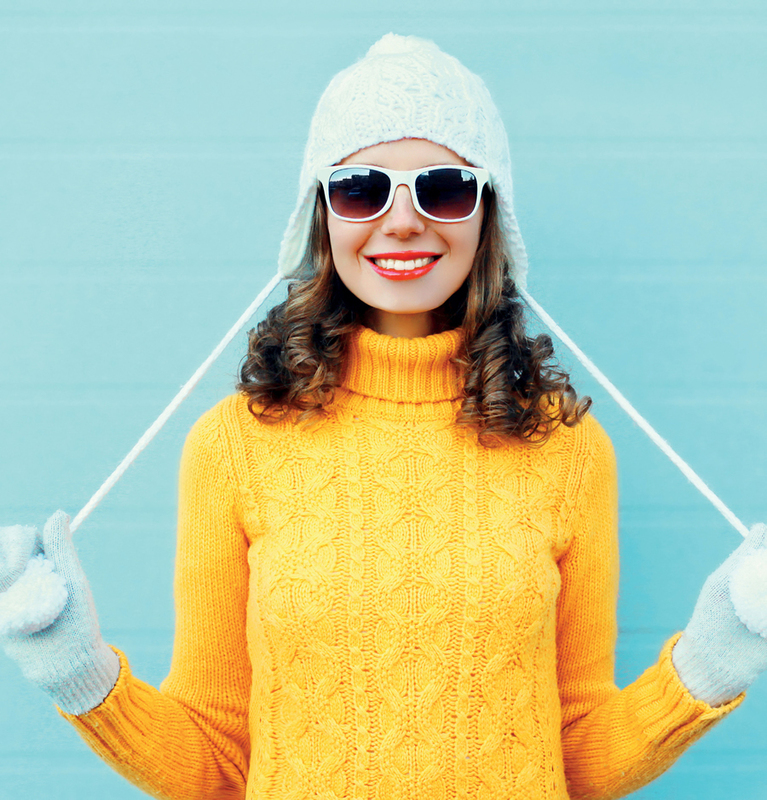 Barrier protection comes in the form of serums, nourishing crèmes and of course sunscreen – yes, even in winter! Especially if you are visiting the snow and very cold climates. Prevention is always better than a cure. Interestingly, winter can also wreak havoc with acne sufferers. During winter our sun exposure decreases, and since our bodies synthesise vitamin D-3, through exposure to sunlight, this can have a negative effect on our bodies. While hormonal imbalances are the primary causes of acne, a poor immune system due to low amounts of vitamin D in your system can also increase oil production in your skin cells. Acne forms when the sebaceous glands are clogged, and these blocked, oil-producing cells lead to acne and congestion. Sun exposure raises your vitamin D levels as your skin releases a chemical that produces vitamin D. This reduces the amount of bacteria in your system by boosting your immune system, helping to reduce the level of acne. Beta Gel contains beta glucan, an ingredient which is known to work well for strengthening and healing the skin, therefore making it more resilient when combating the elements of winter. Beta Gel also contains concentrated anti-inflammatory properties (once again thanks to the beta glucan content) which works to reduce inflammation in the skin – ideal for wind burn, broken capillaries, redness within the skin and of course, dehydration. This is a must-have product to take on your next skiing vacation. We all know that vitamin C helps to produce new collagen, but the benefit of loading the skin up during winter when we don’t have that sun exposure will also help to fight those free radicals that can attack proteins and the skin’s primary structures which lead to the breakdown of collagen. So winter is a great time to boost your vitamin C both topically and orally. This unique combination is a must to protect the skin during winter. Containing skin identical lipids, it’s like an essential fatty acid supplement applied topically. The powerful combination of Herbal Pigment Oil and Herb & Mineral Mist helps to re-establish the bi-layers and free water levels in the epidermis and works to “water proof” the skin keeping the skin strong and healthy, preventing it from drying out and becoming flaky and inflamed. Herb & Mineral Mist is like the skin cell’s multi vitamin, mineral and amino acid supplement in one. Taking an essential fatty acid during winter will also nourish the skin. These provide essential nutrients for healthy skin while also having an anti-inflammatory effect accompanied by an antioxidant and immune modulator. Due to the effects of the harsh cold winter climate we have mentioned above, monthly professional treatments are very important during winter to maintain good circulation and optimal skin functioning. When your skin is functioning like a young healthy skin it is more resilient and able to tackle the symptoms of environmental assaults. During winter it is really important to effectively exfoliate weekly to remove that dry dead redundant cell material and to keep the skin smooth and supple. Micro Peel is a combination of Glycolic Acid which focuses on refreshing and balancing the skin while increasing dermal hydration. At the other end of the spectrum, Hydrating Masque soothes the skin with its Aloe anti-inflammatory properties and deeply penetrating moisturising effects of Panthenol. Tip: Skin can never be too hydrated especially during winter so my favourite combination as an at-home maintenance facial treatment is Micro peel and Hydrating Masque. People can drink a lot of water but if they have dehydrated skin, the skin is unable to hold and retain the water. While oral supplementation with vitamin C is important for maintaining one’s overall health, it is not very effective at increasing skin concentrations of vitamin C. This is due to the fact that its absorption is limited by active transport mechanisms in the gut. The most effective method for replenishing vitamin C in the skin is therefore to go straight to the source, and apply it directly to the skin. It is also a good chance to reduce any pigmentation left behind from summer. People can drink a lot of water but if they have dehydrated skin, the skin is unable to hold and retain the water. So lack of free water is not a lack of ingested water. When you drink water, it goes through the intestines, gets absorbed into your bloodstream, and is filtered by the kidneys. Then it hydrates cells. When it comes to moisturising skin, drinking water isn’t enough. Technically dry skin is lipid-dry meaning it doesn’t have any or very little oil flow. This is what “true dry” skin refers to. If someone has blackheads and congestion they have oil present within the skin, however it just isn’t flowing through and distributing onto the surface of the skin like it should. These people have oils it just isn’t working for them. So really they have a water problem – as fat floats so does oil. So if the oil isn’t moving through, it is because it doesn’t have enough water underneath it. The dryness they are experiencing is an accumulation of dead redundant cell material that is pulling and creating a tight, dry feeling however it is not a true dry skin.